I am DJ Will and the owner of DJ Will "DJ Service" here in Springfield, MO. Welcome to my website! Hello! DJ Will here! Thank you for coming to my site! First, a little background on “DJ Will DJ Service” and how I started my DJ career. I began working in a fairly large nightclub in West Plains, Mo.. One of my friends was the manager, and he needed a DJ that night. To make a long story short, I was trained and spent the year there. Over the years, my passion for dj-ing grew, and I began doing small parties as well. I will never forget my first setup. I bought my first setup at a pawn shop. I worked hard for years and always gave it 100 percent! As business improved, I got better gigs and bought more equipment little by little for about three years. I worked other jobs during this time, until one day something hit me, and I decided to do this full time. Years later, I now have three great DJs and a couple of Photo Booth attendees working for me. Things are going great we even have a big white dance floor, Jukeboxes & a magic mirror that i make for a custom size that i need! We do about 150 gigs a year with a good mix of everything. I think I got where I am by my hard work ethic of living up to my word, caring for others and making their day the best it can be and putting a smile on everyone’s face. My goal for every event is to make sure everyone leaves happy and satisfied and has memories to last forever! 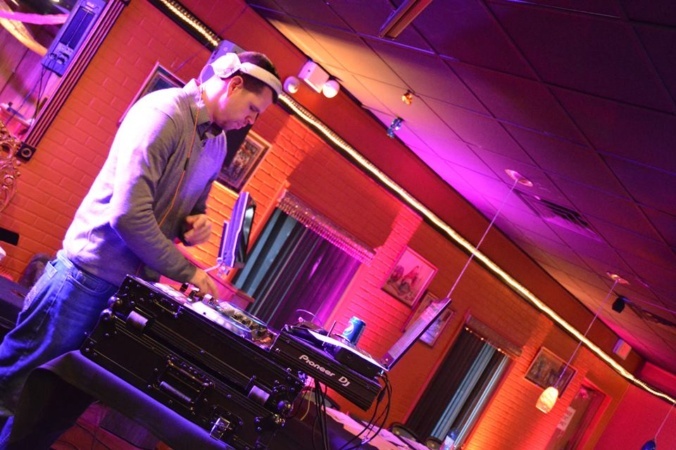 Nine Years later, Dj Will “DJ Service” can provide almost anything you can imagine to make your event successful. We provide speakers, stands, lighting, up-lighting, karaoke, plenty of mics, trussing for special lighting shows, and animation lasers to create almost magical effects. I supply ALL equipment to my DJs to make sure your event is perfect and everything is top notch. I appreciate my customers and my Djs and I will always strive to please. Dj Will “DJ Service” is growing every year! We will always strive to please, we look forward to providing our service to your satisfaction.